I’m loving this series and thank you for the feature of my buffet! Thank you! I appreciate you letting me use the buffet as an example. It’s a lovely piece – and you’ve really given me some food for thought on re-thinking my glaze combinations on color. OMG! 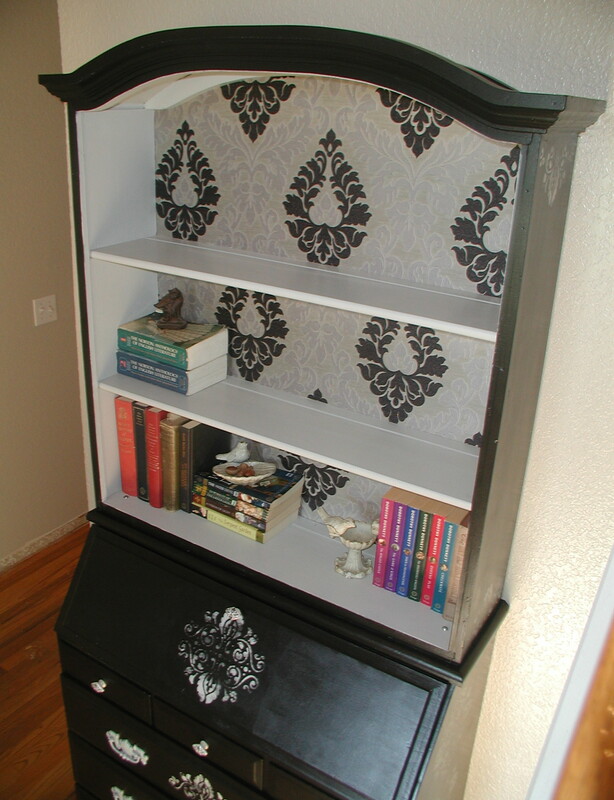 I just love that armoire (could it be because it’s mine?!)! Thanks so much for featuring it in your article. You are so right about there being a million ways to finish a piece. The sky’s the limit. My starting point is almost always fabric or something from nature, as it was with the fabric on the inside of the armoire. Thank you again! I agree Miss Bee – fabric and paper are so inspiring in color and pattern. I could buy fabric swatches all day! BTW that colored parrot on gray, I’ve been thinking of using that on the dining room chairs, centering the parrot on the back. Love that fabric! Sorry this is late- but great article- I got some tips too! Thanks for including our little italy desk! I do agree with you because, it’s really common that every one has different thinking but I have gone through your words and found it very useful to give new life for furniture. The yellow stencil piece is looking so cute. Anyway, thanks for sharing this!